Olan and his friend Kiz were recently found abandoned tied to a park bench in London. 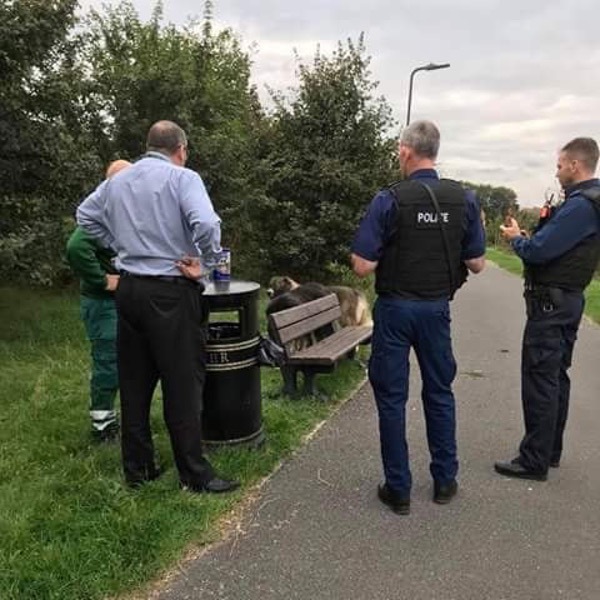 Thankfully the authorities treated them kindly rather than shooting them like Middlesbrough police shot that poor Caucasian earlier this year after it was abandoned. 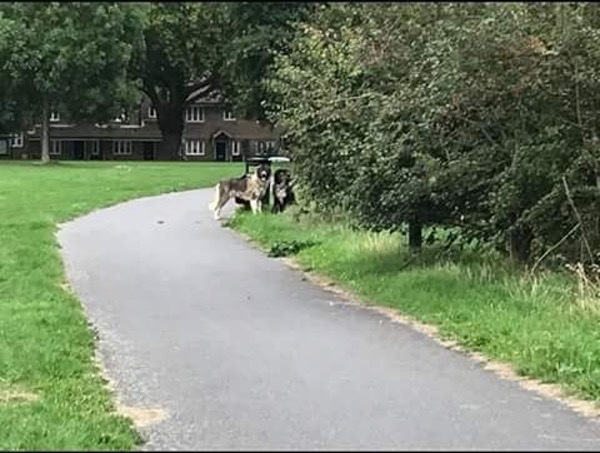 Kiz and Olan were taken to the pound where they did there seven days and as expected, nobody came forward to claim them and their chips were unregistered so the owner could not be traced. 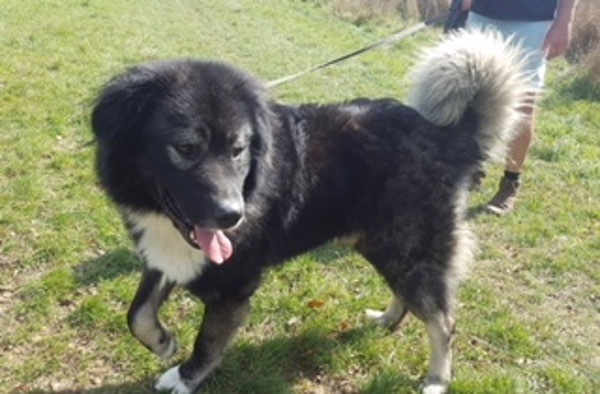 Olan is currently in kennels where he has proved to be a lovely boy although he can be food possessive so his new owners will need to work with that. 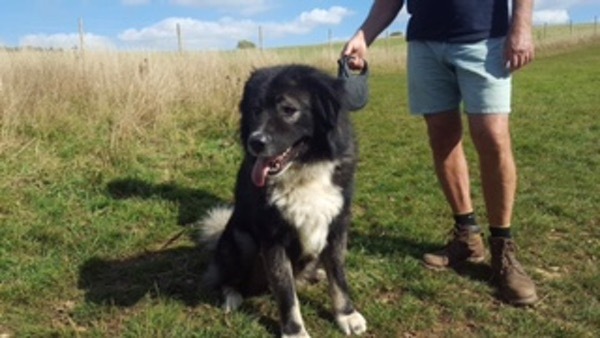 Olan is generally an affectionate bouncy boy who doesn't seem traumatised at what has happened. We estimate that he is around 4 years old he neutered. Olan has become a little protective towards his girlfriend Kiz but we think it may be because she is coming into season so they have been separated. 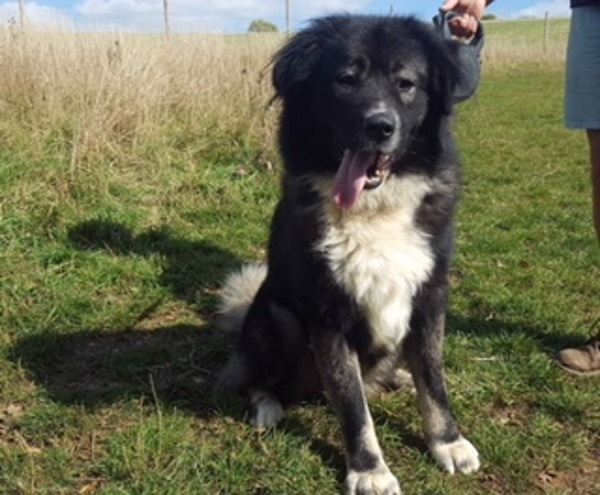 He is obviously OK with female dogs but we are not sure about male dogs so think it best that he either be rehomed as an only dog or with a spayed female. We have no idea whether she likes cats. 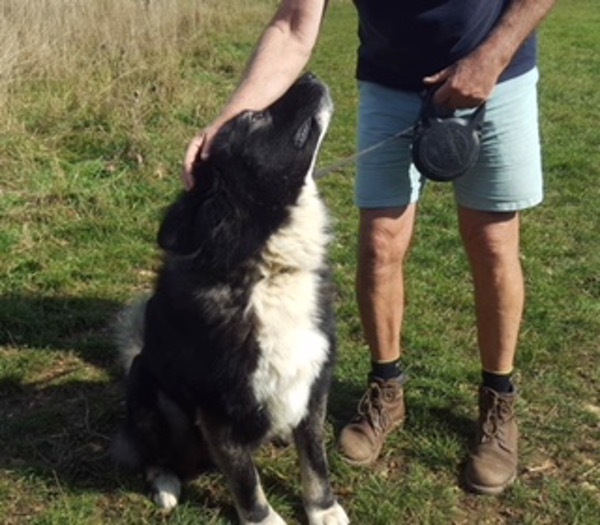 He loves his best friend Kiz but realistically we have to consider splitting them as finding a home for two such large dogs will be difficult. He hasn't had much training and is strong on the lead. An ideal home for Olan would be rural with either a large secured garden or land. Please note that Caucasian Shepherds have very strong guarding instincts which is why we prefer rural homes. Further information about Caucasian Shepherds. This is how Kiz and Olan were found.